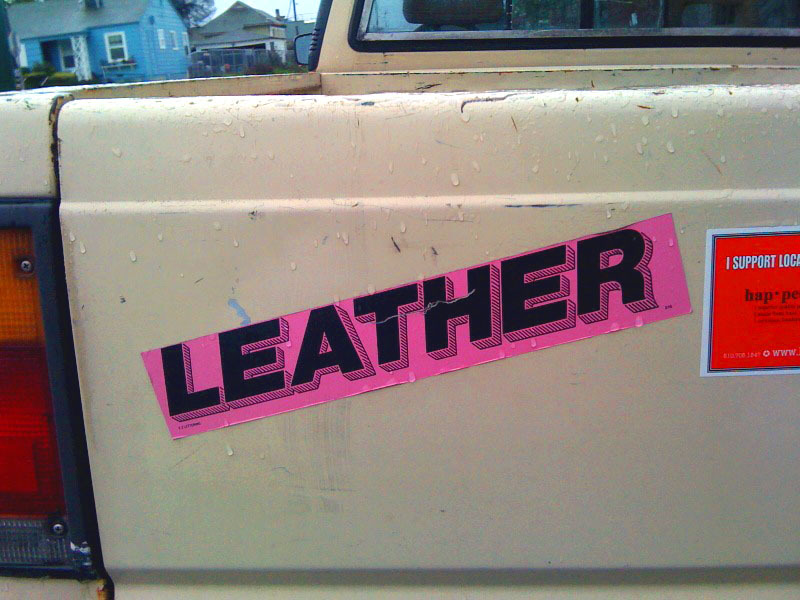 THAT'S RIGHT - LEATHER — CLAFLIN, THAYER & CO.Claflin, Thayer & Co. I hate all bumper stickers, except for this one which I love! It's random, pink and black, got a punchy font, and has my name written all over it.